In 1560, a structure that served as a windmill, and later a tower, was erected on the site of the Coselpalais. The Saxon Elector Frederick Augustus gave the building to Johann Christoph Knöffel, chief of the Oberlandskrieche. The tower was destroyed in 1744, and between 1745 and 1746, Knöffel built two separate five-storey buildings, which were sadly damaged in 1760 at the height of the Seven Years’ War. One of the two structures to the Frauenkirche was totally destroyed during the Prussian siege of Dresden on July 19, 1760. It was later rebuilt. The other part had been preserved in ruins and was integrated into the new Coselpalais building and for the left half of the Palais was duplicated. Friedrich Augustus, Imperial Count von Cosel, General of the Infantry, and a younger half-brother of the Frederick August II, Elector of Saxony, acquired the two adjoining houses in 1762. Friedrich Augustus was the only son of King Augustus II the Strong with his mistress, Countess Anna Constanze von Hoym (the nearby Taschenbergpalais was the king’s gift to his mistress). 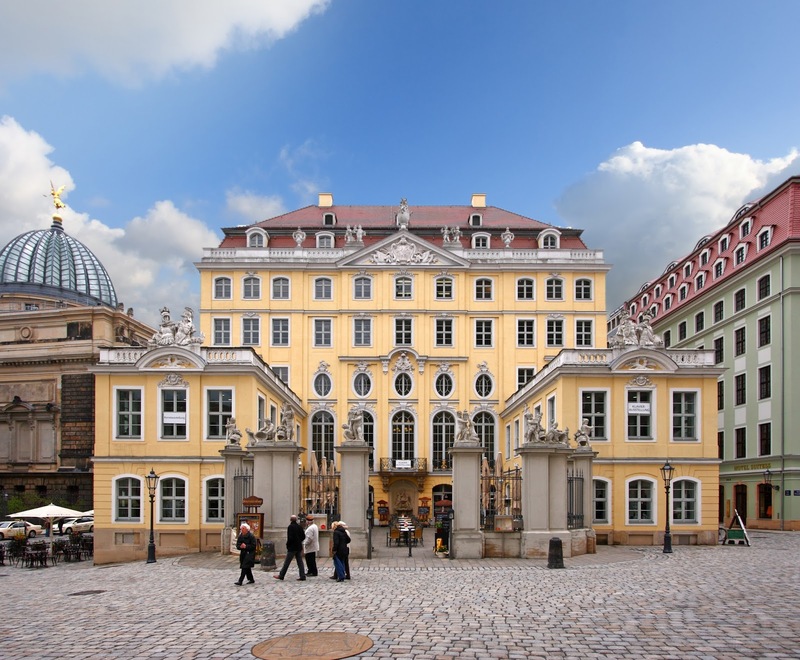 The Count von Cosel commissioned Julius Heinrich Schwarze to build a residential palace, which was named after him. When Coselpalais was finally finished, it was hailed as one of the finest baroque structures in Saxony. The main front was subdivided by pilasters with central risers and triangles. A festive hall was located on the first floor. The original structure designed by Knöffel was retained but Schwarz also added two two-storey side wings. Twelve children's sculptures highlighted the entrance.